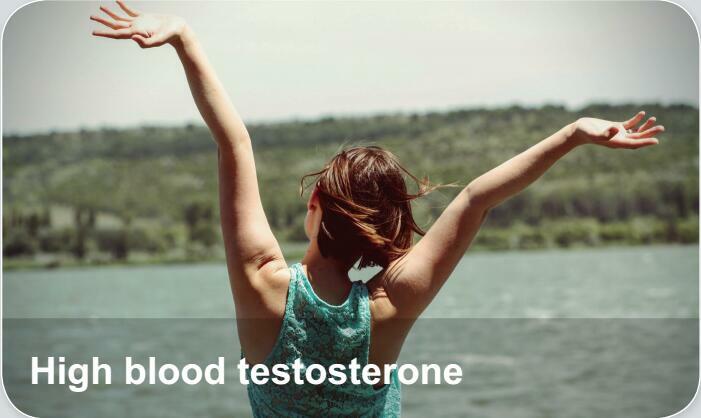 High blood testosterone，also called hyperandrogenism, or androgen excess, is a medical condition characterized by excessive levels of androgens in the body and the associated effects of these excessive levels of androgens. Hyperandrogenism is one of the primary symptoms of polycystic ovary syndrome (PCOS). In such cases, it presents with symptoms such as acne and seborrhea, is frequent in adolescent girls and is often associated with irregular menstrual cycles.